How far would you travel for a deal? I once rounded up a group of friends and flew to California to shop at a designer outlet mall. (Happy shoppers seen here.) Luckily you don't have to go that far. Tanger Outlet National Harbor is just 15 minutes from where I live in D.C. and has some serious deals. Not to mention it's surrounded by amazing food and entertainment options. You can make a day or a staycation weekend of your shopping trip...no flight needed. TFW you walk into the party and someone's got your same bag!?! 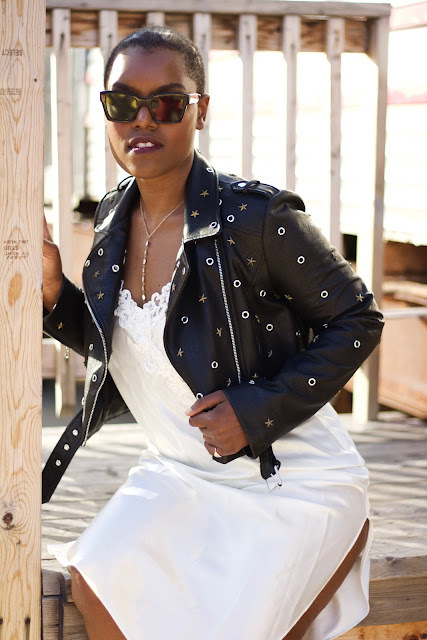 Just kidding, my girl Vivi of the blog Heart Print & Style are twinning on purpose. 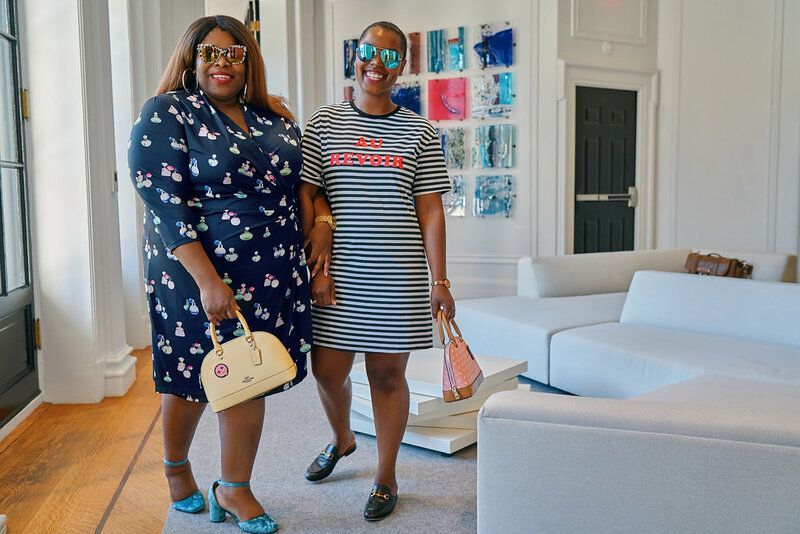 She recently got a chance to do a #shopandstay vacation at the National Harbor and I tagged along as her plus one. 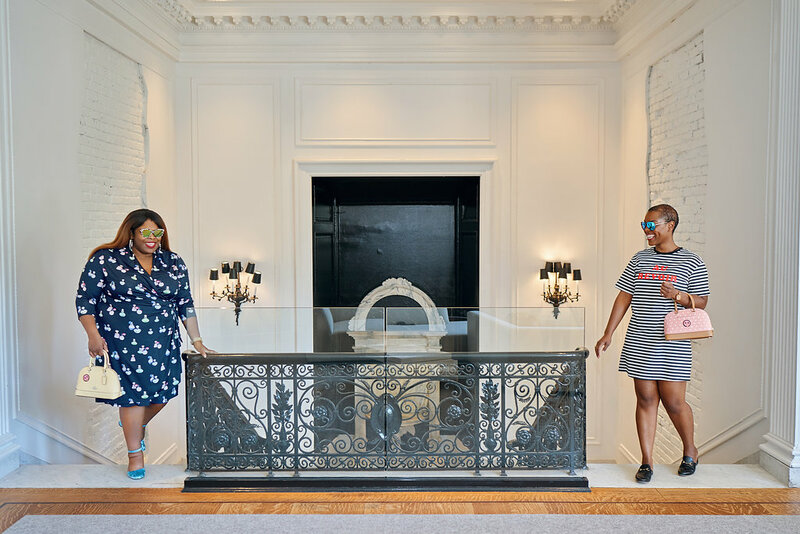 (Check out her blog post here) We had so much fun getting a behind the scenes look at the outlet and learned all about Tanger Club a valuable program for those who go the extra mile for savings...like me! After learning all about what Tanger Outlet National Harbor has to offer...WE WENT SHOPPING! 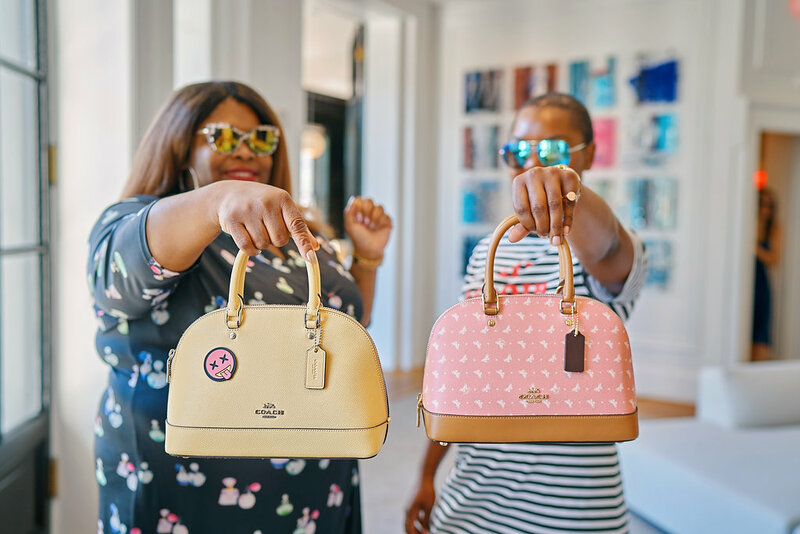 The first store we hit up was the Coach Outlet where we immediately fell in love with these mini Sierra Satchels. We didn't buy them right away, in fact we shopped the rest of the outlet, but they were on our minds all day so at the end of the day we went back and snapped them up. 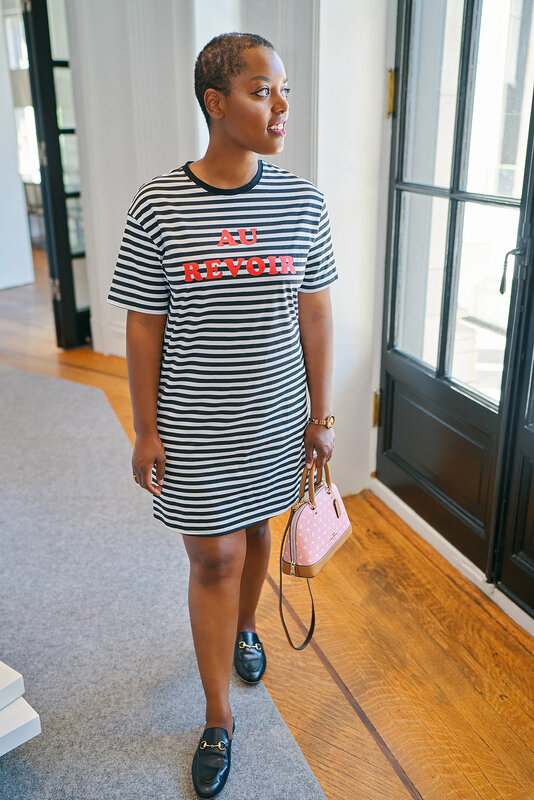 We found a few other great deals on our shopping trip (like the stripe dress I'm wearing, which is now on sale for less than $10) but our purses were by far the BEST deal of the day! We both purchased the "Mini Sierra Satchel" from Coach. Mine is in a limited edition Butterfly print. The bags were originally $295 but the Tanger Outlet National Harbor price was 70% off saving me over $200. There was an additional 20% off clearance, which saved me about $20. In the end I paid $70 for this cute bag and got a matching Coach card case also in the Butterfly print (Originally $65; I paid $15.) My total savings was $274.82! If you haven't been to the Tanger Outlet at the National Harbor...what are you waiting for? Make sure to stop by Shopper Services to join Tanger Club.